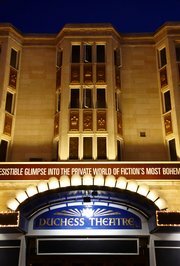 The theatre opened on 25th November, 1929 and is one of the smallest 'proscenium arched' West End theatres. Working on behalf of Nimax Theatres and in conjunction with mbh Architects, Triton Conservation was asked to provide a proposals and costs to revitalise the existing façade. Triton managed to complete these works within the time restrictions and to the satisfaction of the client.